Everything Everywhere plans to roll-out 4G mobile internet for Orange and T-Mobile customers by the end of the year, providing it gets the green light from Ofcom. The company has announced that a new 4G test on the 1800Mhz spectrum will commence in Bristol this April as part of its hopes to launch before the year is out. 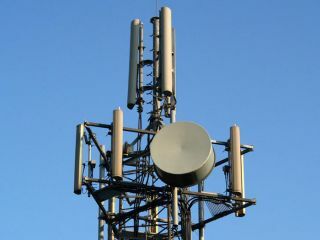 In order to create the 4G network, it would be necessary for Ofcom to allow EE to convert some of its existing 1800Mhz spectrum license from 3G to 4G use. The regulator says it is considering the offer. Everything Everywhere is also extending its 800Mhz spectrum 4G trials in Cornwall until the summer as it seeks to built the UK's best 4G infrastructure. This announcement comes as a major boost for UK smartphone owners as it was thought we wouldn't see 4G speeds until 2013 at the very earliest. Everything Everywhere also announced that it will complete the roll-out of HSPA+21 (otherwise known as 3.5G) by Q2, bringing download speeds of up to 21Mbps for some users. The company is also planning to furnish its 3G customers with even faster HSPA+42 download speeds by the end of the year, making it by far the fastest 3G network in the UK. CEO Olaf Swantee said: "Everything Everywhere's vision is to launch 4G for Britain as soon as possible, and the roll out of 3.5G HSPA+ and our 4G trials across Britain are major steps towards delivering on that promise. "The integration of the Orange and T-Mobile networks has already given our customers the widest 3G coverage in the UK – and I am pleased to say that with our advanced HSPA+ roll out they will also benefit from the fastest. "I am also very proud to announce that, subject to regulatory approval by the spring, Everything Everywhere will be in a position to begin the roll out of 4G before the end of the year. "There is a great opportunity for the UK to have the 21st Century network that it so deserves, putting the nation on a level playing field with other parts of Europe, the USA and Asia." A spokesperson for Ofcom said: "Ofcom has received an application from EE to vary its licence for 4G use. Ofcom is considering that application and once it arrives at a view it will consult with stakeholders." If Everything Everywhere can get approval from Ofcom, which has been frustrating everyone by dragging its feet on this matter, then Orange and T-Mobile users will get a huge head start on O2 in this area. A planned auction for 4G mobile spectrum has been pushed back until the end of the year, much to the chagrin of networks keen to get the infrastructure up and running.